Six faith leaders will participate in the swearing-in ceremony of President-elect Donald Trump and Vice President-elect Mike Pence, the inauguration committee announced Wednesday. WASHINGTON — Six faith leaders will participate in the swearing-in ceremony of President-elect Donald Trump and Vice President-elect Mike Pence, the inauguration committee announced Wednesday. The faith leaders will participate in the Jan. 20 ceremony at the Capitol. They include an array of high profile Catholic, evangelical and Jewish leaders. Readings and invocations will come from His Eminence Timothy Michael Cardinal Dolan, the Archbishop of New York; Rev. Dr. Samuel Rodriguez of the National Hispanic Christian Leadership Conference; and Pastor Paula White of New Destiny Christian Center. Readings and benediction will come from Rabbi Marvin Hier, Dean and Founder of the Simon Wiesenthal Center; Rev. Franklin Graham of Samaritan’s Purse and The Billy Graham Evangelistic Association as well as son of famous evangelist Billy Graham; and Bishop Wayne T. Jackson of Great Faith Ministries International. 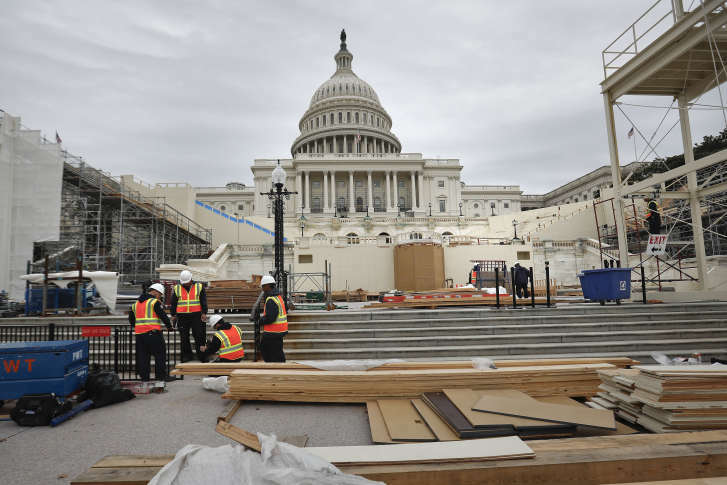 The faith leaders will “honor the vital role religious faith plays in our multicultural, vibrant nation,” Presidential Inaugural Committee Chairman Tom Barrack said in a news release. On Jan. 21, there will be a National Prayer Service at the Washington National Cathedral that will include representatives of all religious faiths. It is not yet clear if the faith leaders participating in the swearing-in ceremony will play a role in the National Prayer Service. The committee said more details about the prayer service will be released in the coming weeks. Read more about the swearing-in ceremony and ticket availability on the Inauguration Day event website.